Prior to the late nineteenth century, time keeping was a purely local phenomenon. Each town would set their clocks to noon when the sun reached its zenith each day. A clockmaker or town clock would be the "official" time and the citizens would set their pocket watches and clocks to the time of the town. Enterprising citizens would offer their services as mobile clock setters, carrying a watch with the accurate time to adjust the clocks in customer's homes on a weekly basis. Travel between cities meant having to change one's pocket watch upon arrival. In 1878, Canadian Sir Sandford Fleming proposed the system of worldwide time zones that we use today. He recommended that the world be divided into twenty-four time zones, each spaced 15 degrees of longitude apart. Since the earth rotates once every 24 hours and there are 360 degrees of longitude, each hour the earth rotates one-twenty-fourth of a circle or 15 degrees of longitude. Sir Fleming's time zones were heralded as a brilliant solution to a chaotic problem worldwide. Today, many countries operate on variations of the time zones proposed by Sir Fleming. All of China (which should span five time zones) uses a single time zone -- eight hours ahead of Coordinated Universal Time (known by the abbreviation UTC, based on the time zone running through Greenwich at 0 degrees longitude). Australia uses three time zones -- its central time zone is a half-hour ahead of its designated time zone. 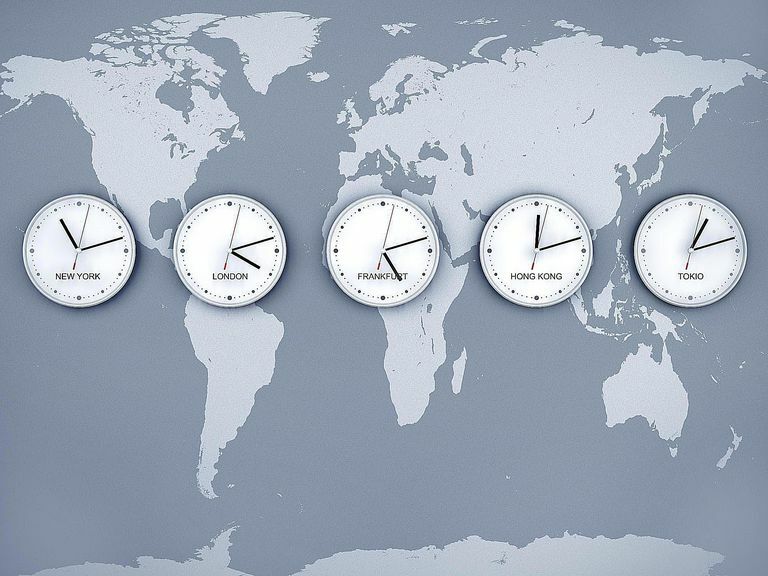 Several countries in the Middle East and South Asia also utilize half-hour time zones. The time zones of the United States are standardized by Congress and although the lines were drawn to avoid populated areas, sometimes they've been moved to avoid complication. 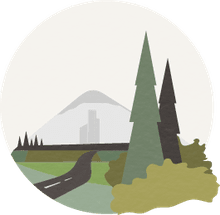 There are nine time zones in the U.S. and its territories, they include Eastern, Central, Mountain, Pacific, Alaska, Hawaii-Aleutian, Samoa, Wake Island, and Guam. With the growth of the Internet and global communication and commerce, some have advocated a new worldwide time system.